Assuring the performance of some of the world’s largest financial services networks, Accedian’s SkyLIGHT™ platform includes FPGA-based monitoring tools with remote packet capture and sub-microsecond accurate timestamping, integrated into real-time reporting dashboards. SkyLIGHT helps providers deliver ultra-low latency, near-zero packet loss, and reliable throughput without compromise, detecting microbursts, gaps, and application-layer impairments. 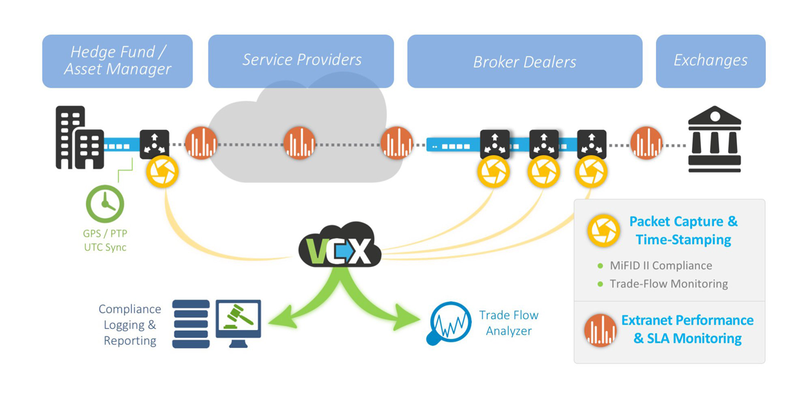 Transaction-level analytics provides trade flow performance management that supports regulatory compliance and proof of innocence for financial trading institutions and their service providers. With open integration into existing security, compliance, analysis, and monitoring platforms, Accedian helps to assure the peak financial performance of leading institutions in over 30 countries.